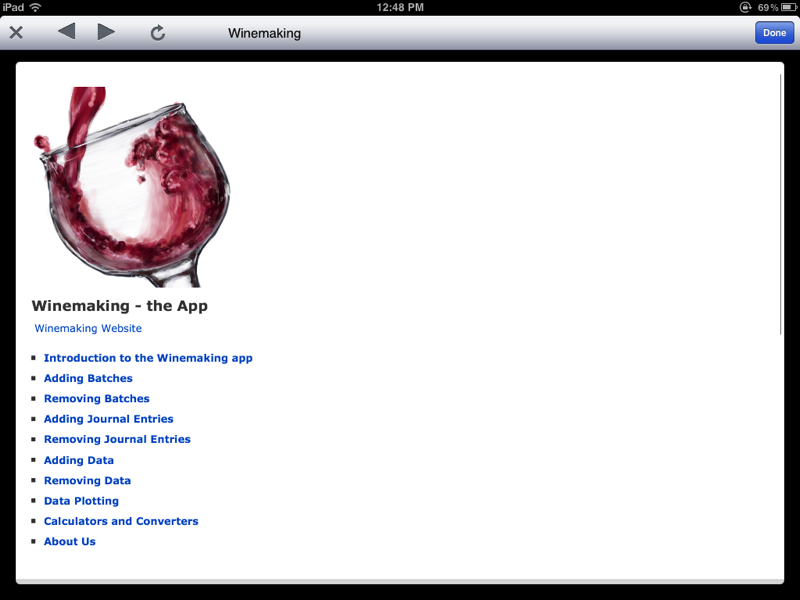 Use Winemaking to track each batch of wine you make. 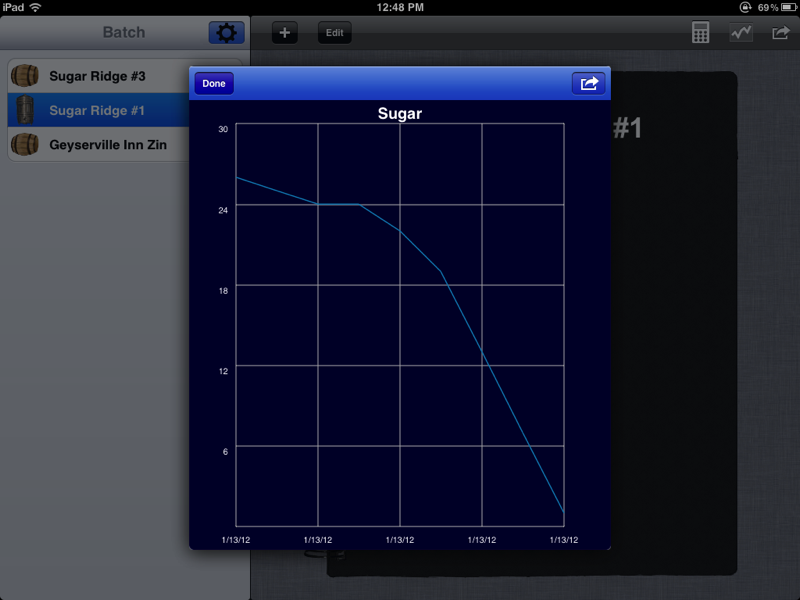 Add the batch name, initial batch information, yeast, sugar etc to fill out your batch info. 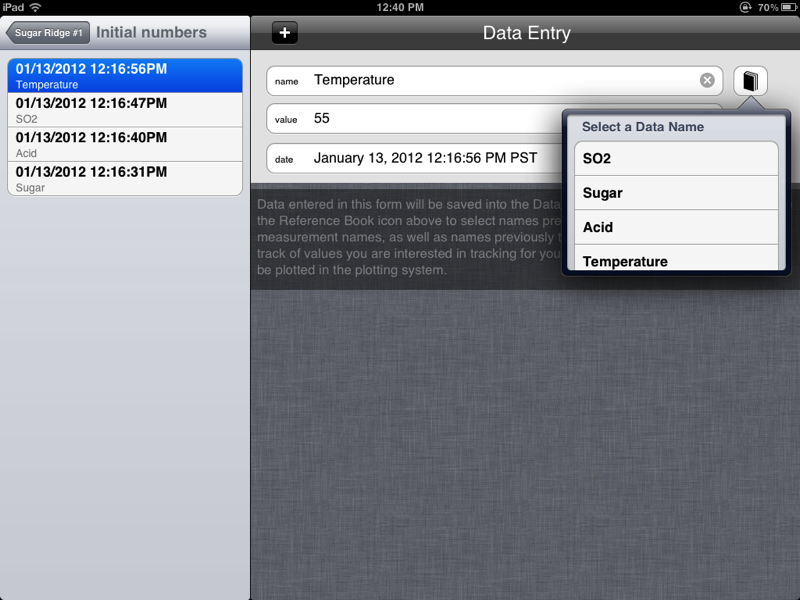 Then you can select the batch you want to add journal entries for and start typing. 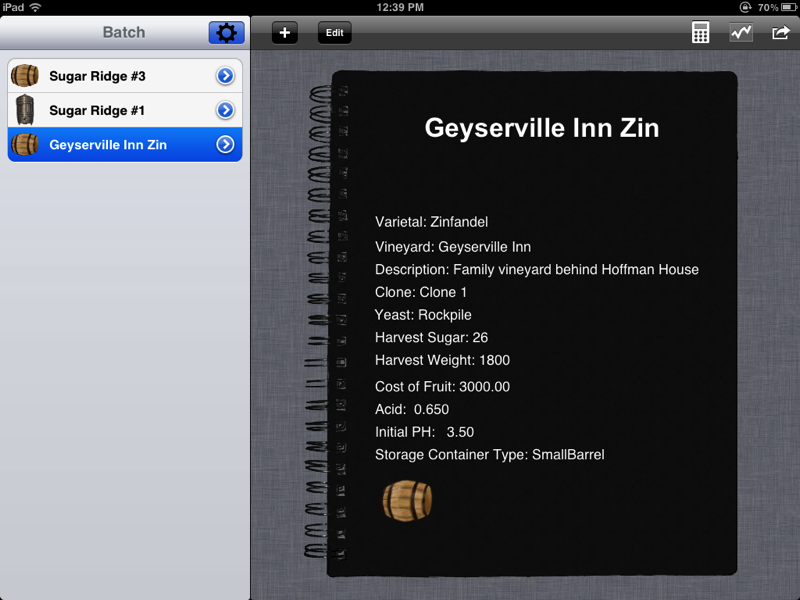 Keep journal entries for all your winemaking activities. 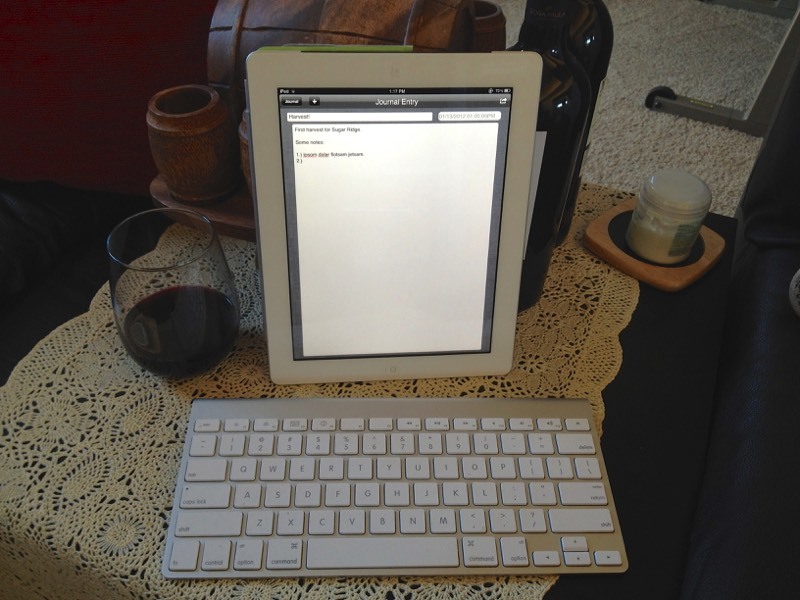 Use the journal entry system to keep a collection of journal entries for your wine batches. 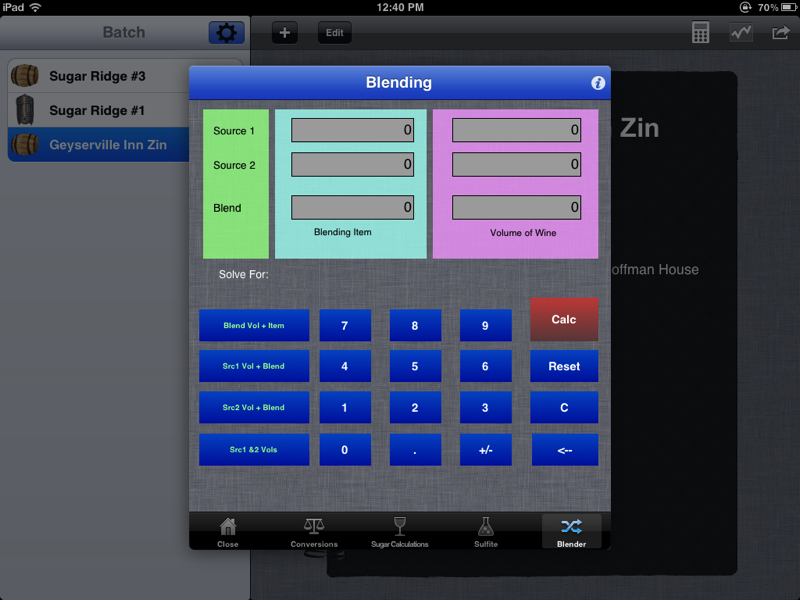 Each batch can contain any number of journal entries to capture your notes as the batch progresses. Use a bluetooth keyboard to capture larger entries if you prefer to type on a tactile keyboard. You can enter any number of data items for your journal entries. So for example you are journaling your initial fermentation. You may want to track sugar, temperature, acid, PH and other factors. 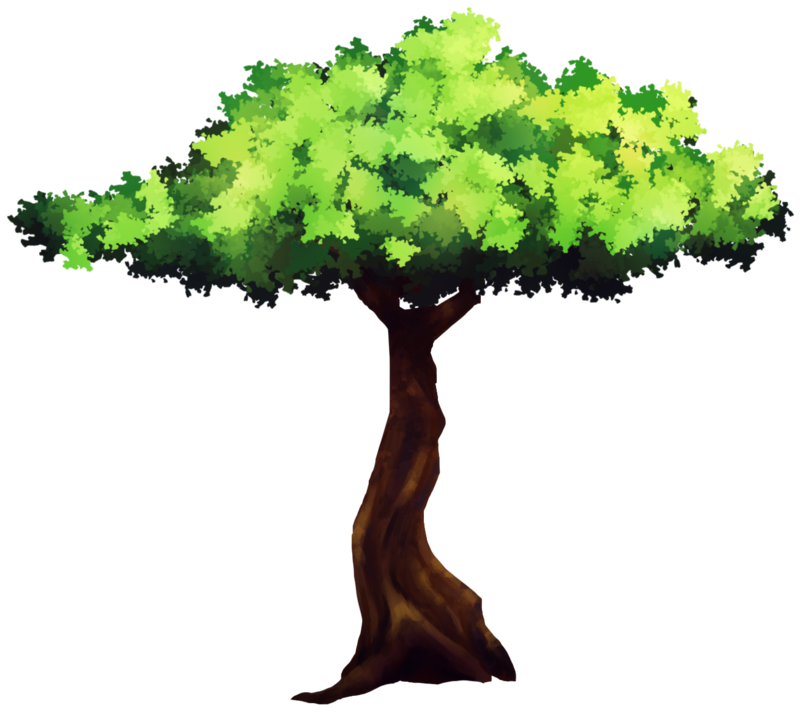 Each day you add another journal entry, and for each of these daily entries you can enter as many data items as you want. Later, you can collect this data in a plot or by sending the data by pdf to yourself via email. Plot your data collected in the journal data section. You can run plots for the parameter you are interested in by selecting the batch you want, and then the plot parameter you want (from your data you have collected). Then assign a date range and the system will go out and collect the data you requested, and plot it in a PDF format you can mail to yourself via email. You can make full-screen or reduced size plots. Use the handy built-in calculators to handle tasks like temperature or volume conversions, blending aids, or sulfur and sugar additions. The calculators are available from the main batch menu page by tapping the calculator icon in the toolbar. For UI tips and operating instructions, refer to the built-in help, available from the settings (Gear icon) popover menu. The help system is setup with hyper-links for quickly finding what you are looking for. 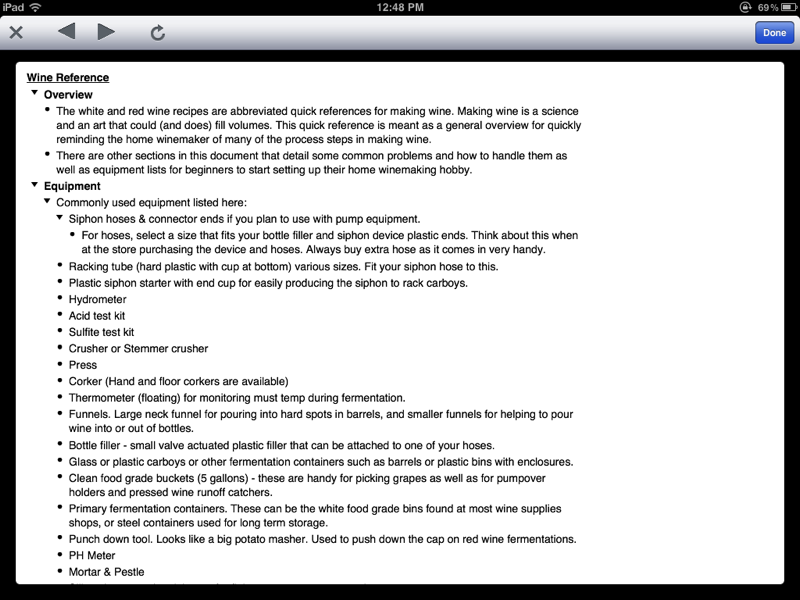 Included in the Winemaking app is a quick recipe guide to making Red and White wines. 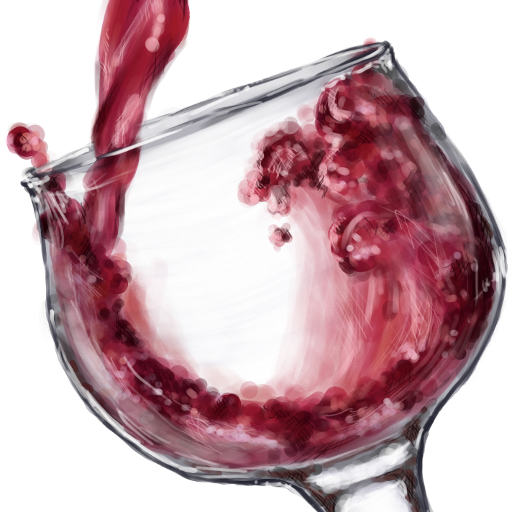 The reference is intended as a quick reference and covers the basic steps to making wine. Topics include initial equipment lists for beginners, chemicals and additives, troubleshooting, and reference.